“Health, Wealth and Fame”… Nevertheless, You Need Health to Begin with! 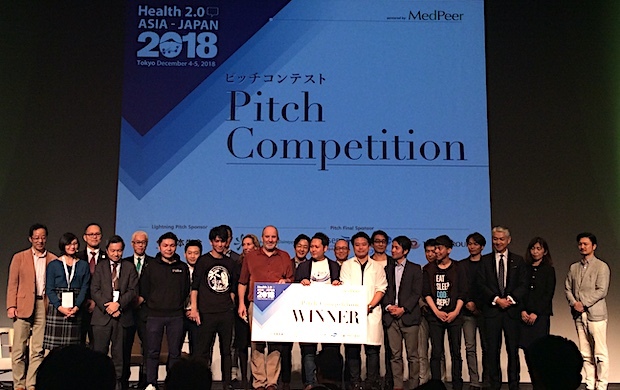 Backtech develops a mobile app for managing back-pain named Pocket Therapist, which suggests optimal exercises or introduces medical facilities according to the user’s back-pain type determined by a proprietary algorithm from Kyoto University. The app judges users’ current back-pain condition and treatment needs based on their self-assessment and matches them with optimal medical facilities. In addition, it allows them to consult doctors via Skype when needed. The firm has gradually been establishing a B2E (Business-to-enterprise) model through providing two types of services: one is Assessment Plan which supports enterprises to assess the effectiveness of their health promotion measures and the other is Solution Plan which supports productivity improvement through reduction of employees’ back-pain. Backtech was founded in April of 2016 and then born out of the Kyoto University’s entrepreneur training program Global Technology Entrepreneurship Program. The firm raised an undisclosed amount from Cyberagent Ventures in September 2016 as well as an undisclosed amount from Nippon Venture Capital and JR East Startup in May last year. Ubie was founded in May by Yoshinori Abe (medical doctor of the University of Tokyo Hospital) and Kota Kubo (engineer from the medical information service major M3.com). Supervised by medical specialists, the Ubie platform automatically creates a clinical record using the data a patient enters in advance. The firm fundraised around 300 million yen (about $2.8 million) from Kanden Venture Management, the investment arm of Kansai Electric Power in Osaka in its series A round. The food-tech firm Day Break focuses on special freezing technologies including quick-freezing and has been providing top-quality frozen fruits under its own brand HENOHENO. With the technology, the HENOHENO fruits are richer in nutrients than raw fruits and are easy to eat due to small ice crystals without damaging scent and taste. T-ICU has developed a 24-hour remote ICU (intensive care unit) system under the same name, which lightens the burden of doctor or nurse in medical sites by giving advices of intensive care from other medical specialists in remote location. With this system, intensive care specialists are able to consider therapeutic strategies by referring clinical records and vital information even in remote location. For medical organizations, it allows them to provide professional supports at much cheaper cost than hiring a new intensive care specialist. The firm secured funding from Japanese biotech-centric startup accelerator/VC firm Beyond Next Ventures back in June (the amount and the round is not disclosed). This platform was chosen for the Mitsubishi Tanabe Pharma Accelerator 2018 and won the award for excellence in the program. GCare focuses on the remote monitoring system for IBD (Inflammatory Bowel Disease) patients. Since the IBD symptom easily changes, it is effective to grasp patients’ state by mobile app and to provide timely treatment. The firm was chosen for Mitsubishi Tanabe Pharma Accelerator 2018 and is currently developing an mobile app for Ulcerative Colitis patients. HoloAsh takes on therapeutic solution for ADHD (Attention Deficit Hyperactivity Disorder) patients in ‘motivation interviewing’ or ‘therapeutic communication’ approaches that help ADHD patients to improve their self-esteem through talking with holographic characters. This year, the firm fundraised an undisclosed amount from INDEE Japan, Takeshi Soga (SGcapital), Takashi Shibayama (BLANQ) and Osamu Ogasawara (ABBALab).